Mystic Seaport Museum offers a number of summer camp programs that provide a unique learning adventure where meeting new friends is fun and easy. Our wide selection of Summer Day Camps offers boys and girls ages 4 to 16 a kids’-eye-view of maritime history as they explore the Museum; Community Sailing classes let children ages 8 and older build and refine sailing skills; 10- to 15-year-olds can spend a week learning to sail by day and sleeping aboard a tall ship by night in the Joseph Conrad Summer Sailing Camp; and ages 15 and older can sail along the coast as part of the crew of the schooner Brilliant. Select the camp that best suits your children and give them a summer to remember at Mystic Seaport Museum! 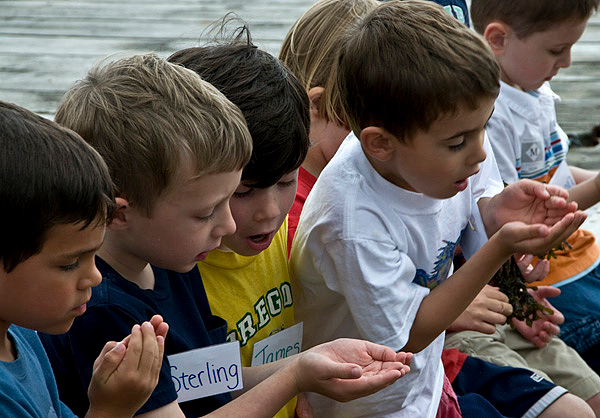 With many different day camps to choose from, including joint camps with Mystic Aquarium and Denison Pequotsepos Nature Center, boys and girls ages 4 to 16 get a kids’-eye-view of maritime history as they explore Mystic Seaport, take part in hands-on activities, play unique games and create fantastic craft projects. They’ll discover the secret lives of sailors, learn what life was like at port, meet the citizens of Greenmanville, investigate the superstitions of the sea, and more. All of our programs are licensed by the State of Connecticut and are staffed by experienced Museum Educators. Extended daycare is available. More information and camp dates. 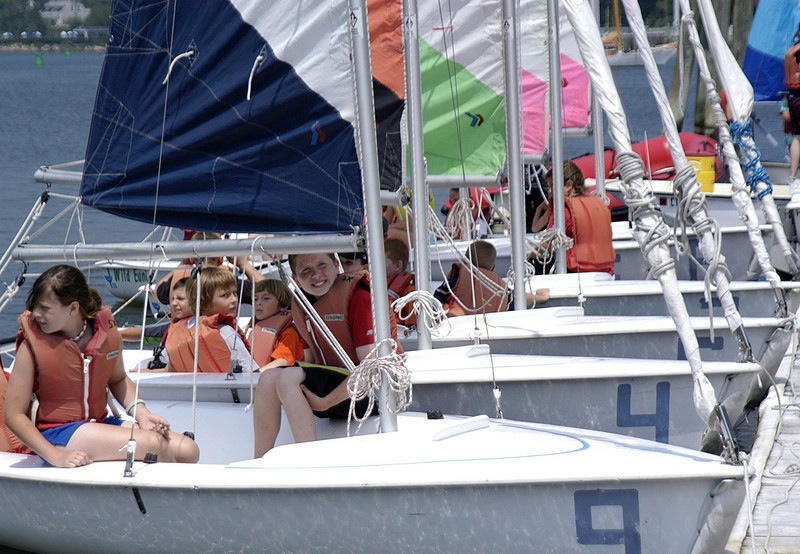 The overnight summer camp of choice for more than 350 campers annually, this summer sailing camp teaches your 10- to 15-year-old not just the skills of the sea, but those of teamwork and camaraderie. Kids sail a Dyer Dhow by day and sleep aboard a tall ship by night — what better way to spend summer vacation than on the water! Our staff includes a state licensed director, experienced counselors and experienced sailing instructors, many of whom are past Conrad participants. More information and camp dates. No matter your skill level, you will find sailing at Mystic Seaport an unequaled experience. 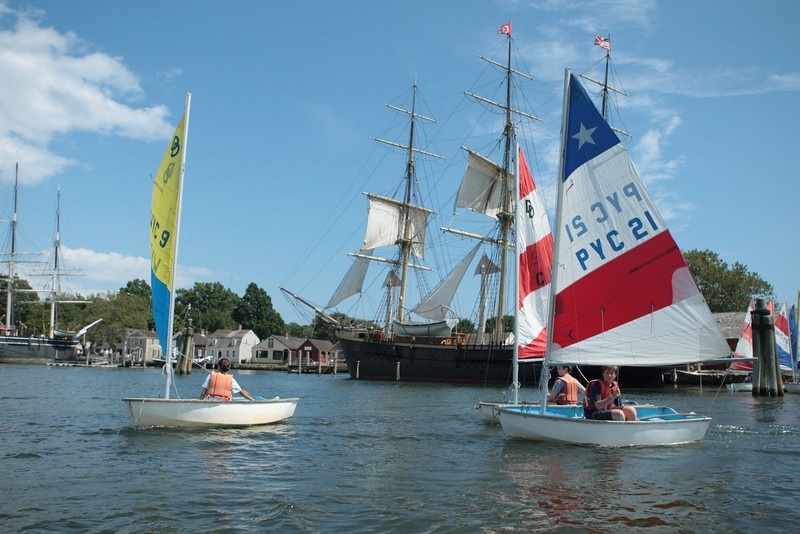 From beginners to intermediate, from youth to adult, individually or as a family, Mystic Seaport offers a full lineup of programs designed to build and refine sailing skills all while nurturing the love of the water. Our Community Sailing instructors are experienced sailors certified through US Sailing for sailing safety, boat operation, first aid and CPR. Their love of the water and years of sailing experience provide participants not only with the required technical knowledge, but with practical know-how through hands-on instruction. Special homeschool classes and competitive racing series are also available. More information and camp dates. More information and camp dates. 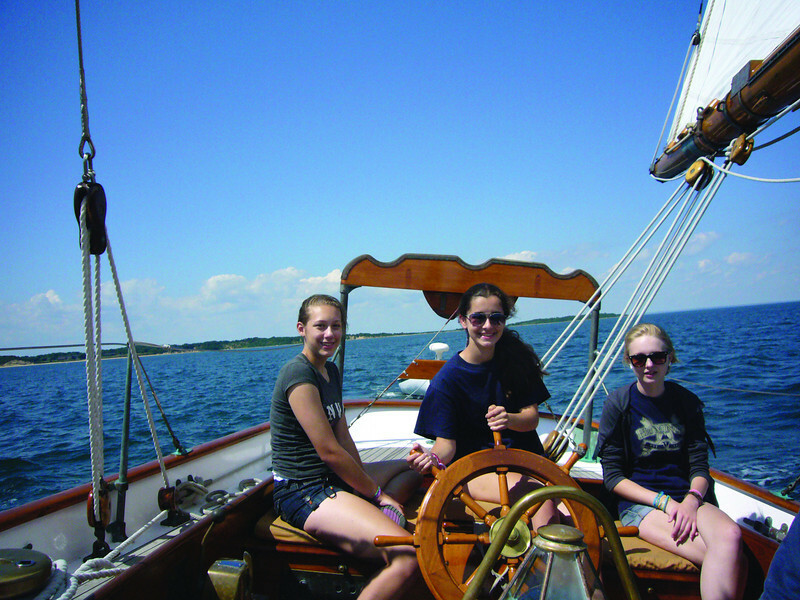 Give your teenager a Brilliant experience aboard this beautiful 61-foot classic schooner! They will become part of the crew in this full-participation sailing experience while cruising local waters and visiting scenic ports of call. As the oldest sail education program in the country, Brilliant has taught teamwork, leadership, stewardship, and traditional seamanship for over 55 years to more than 9,000 teenagers and adults. Participants learn under the guidance of a professional crew and Coast Guard licensed Captain. More information and camp dates.